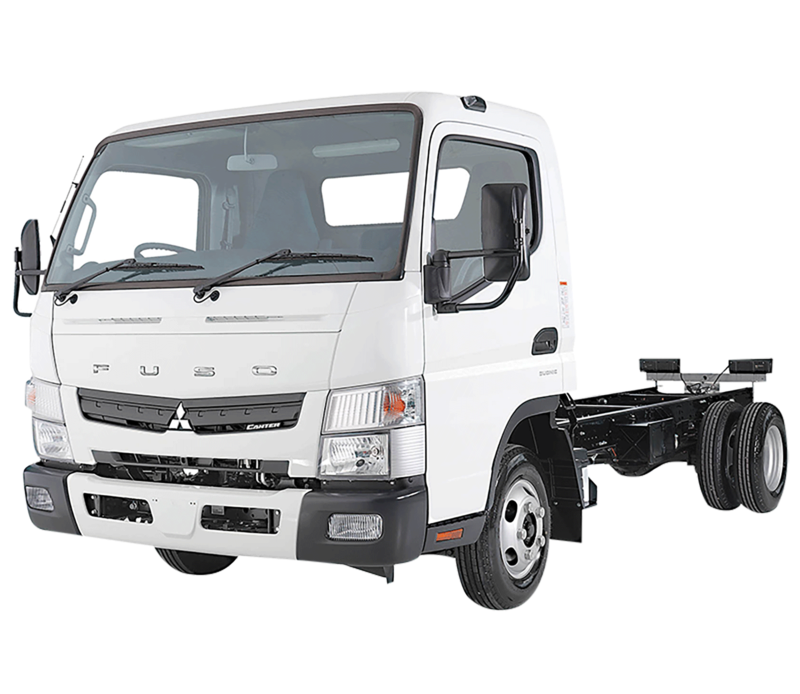 THE MOST ADVANCED JAPANESE TRUCK, EVER. The legendary Shogun is back. 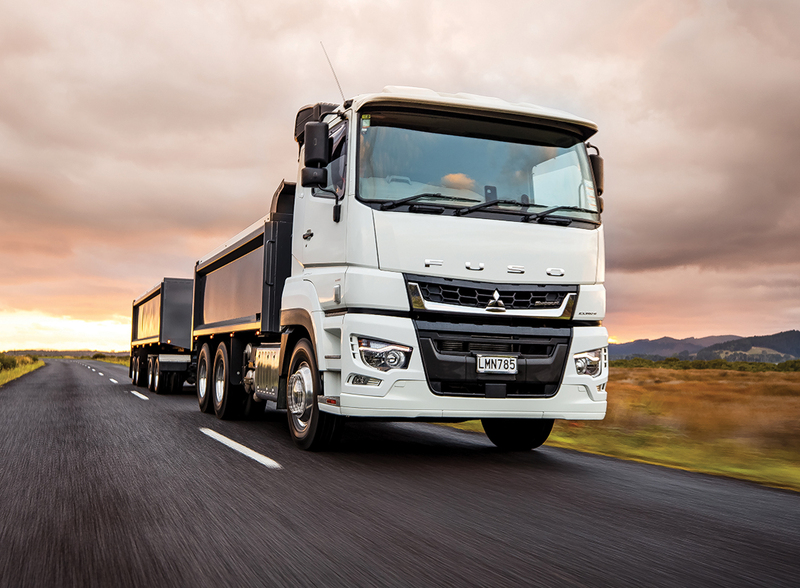 Armed with six active safety systems, superior comfort, and an all new powertrain with class-leading Euro 6 emissions, this new generation heavyweight is head and shoulders above its predecessors – and the competition. 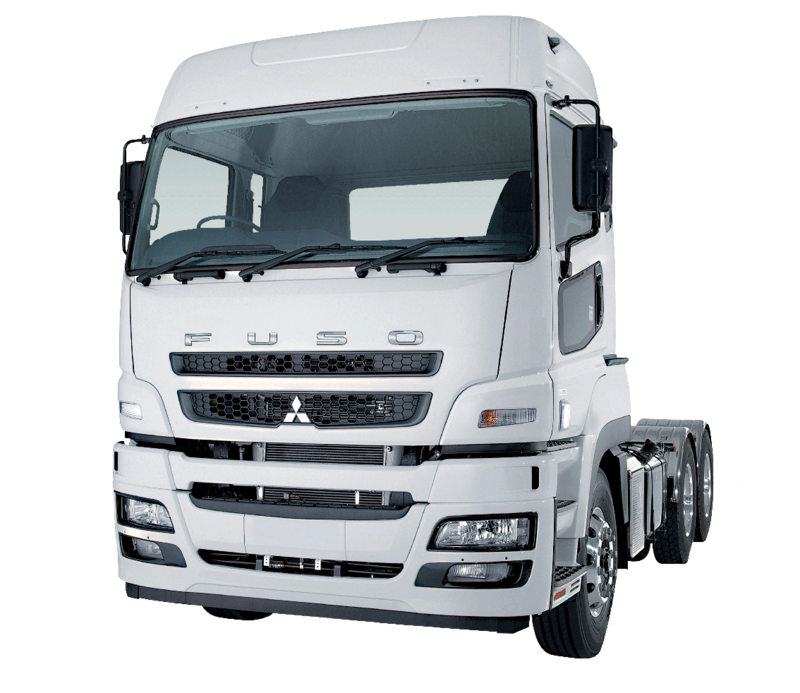 Shogun represents the pinnacle of current, ready-for-market FUSO-Daimler engineering. 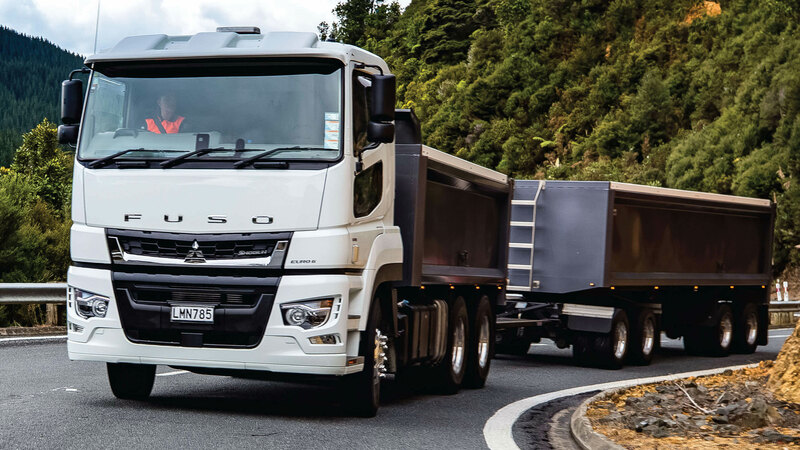 Tested over 3.3 million km in Japan and 150,000km on New Zealand roads, in tipper and line-haul applications, this heavy-duty pioneer is ready to hit the ground running. 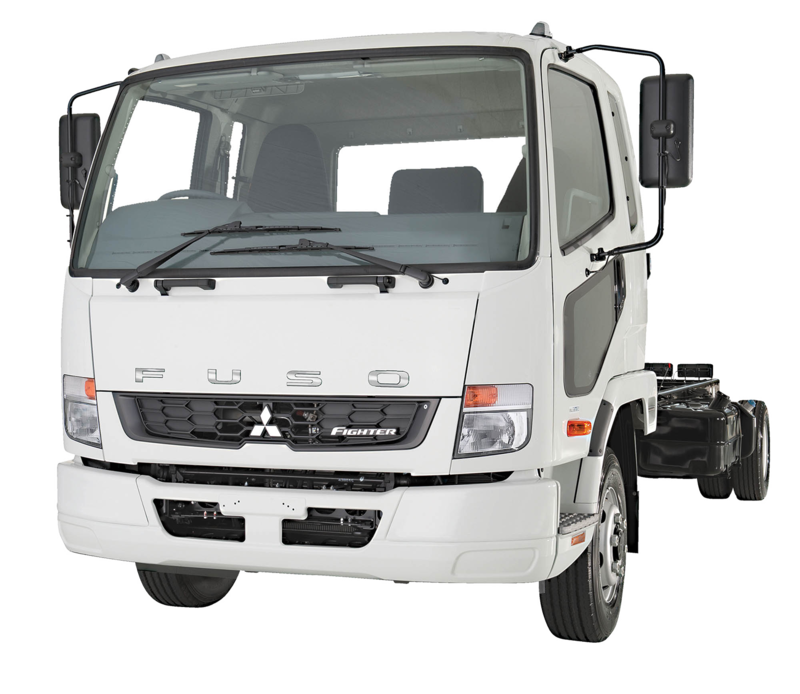 With an extensive range of safety systems and a premium interior, Shogun will appeal equally to drivers who want a safe and comfortable work environment, and operators whose staff are their most valuable asset. 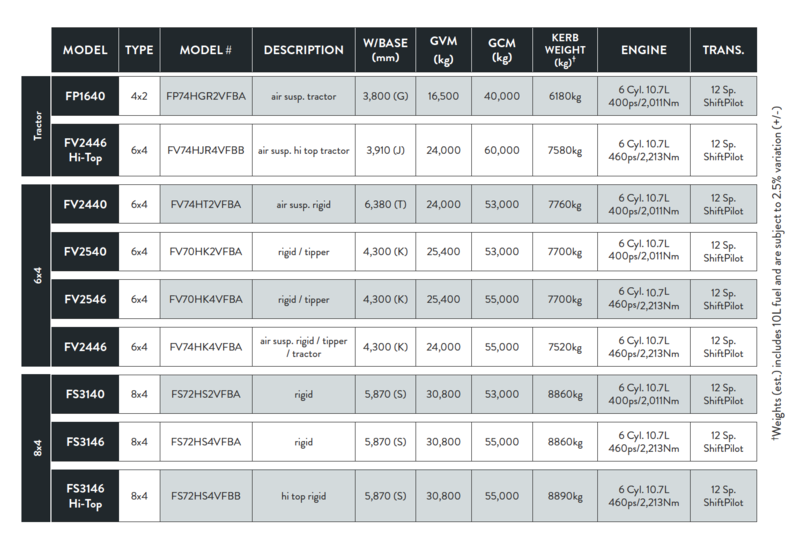 There will be nine Shogun variants in the initial line-up, including four 400ps models. Additional FS 8x4 air-suspension models in both standard and Hi Top options will be available later in 2019. 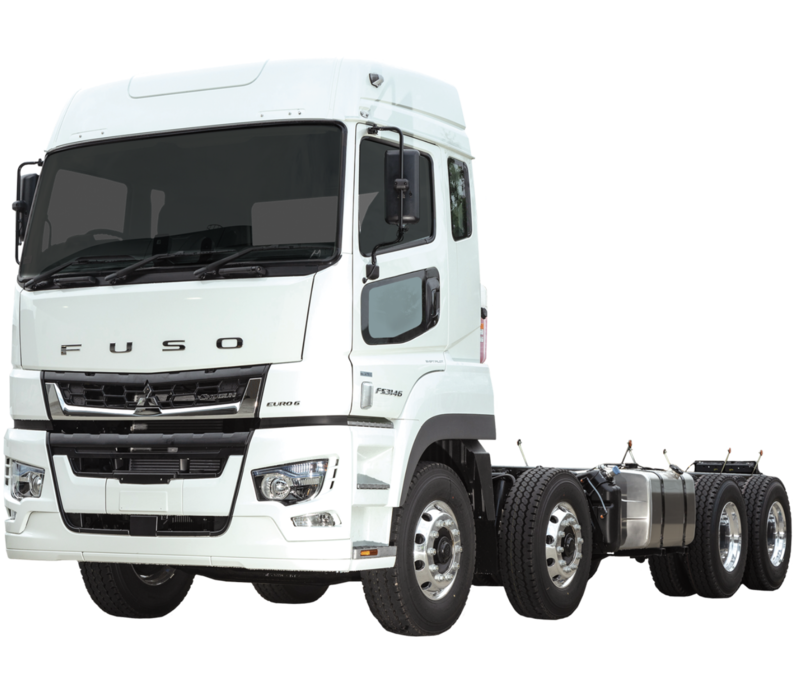 The new Euro 6 OM470 10.7L diesel is the cleanest, most efficient powerplant ever seen in a FUSO. 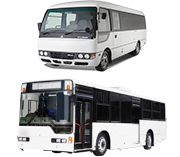 The T2 model has a maximum output of 400ps / 2,011Nm, while the more powerful T4 delivers up to 460ps / 2,213Nm. At first glance, that might appear modest for a truck that pulls 60T uphill with ease – yet its quicker response and smoother running performance gives it a significant advantage over its predecessor. 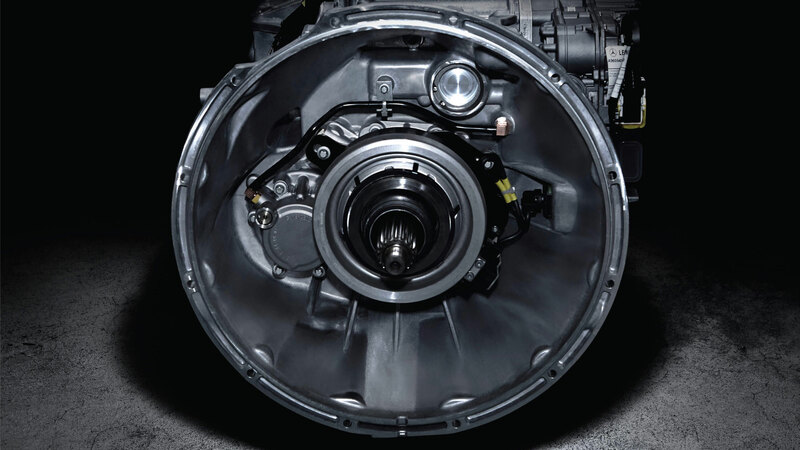 In terms of efficiency, it’s way ahead – and, with its Detroit heritage, it features the best and most respected name in engine brake design: Jacobs (or Jake). A hallmark of the very latest generation Detroit-designed engine is a very steep rise in torque and horsepower in the middle rev range, resulting in maximum power at a low 1600rpm. 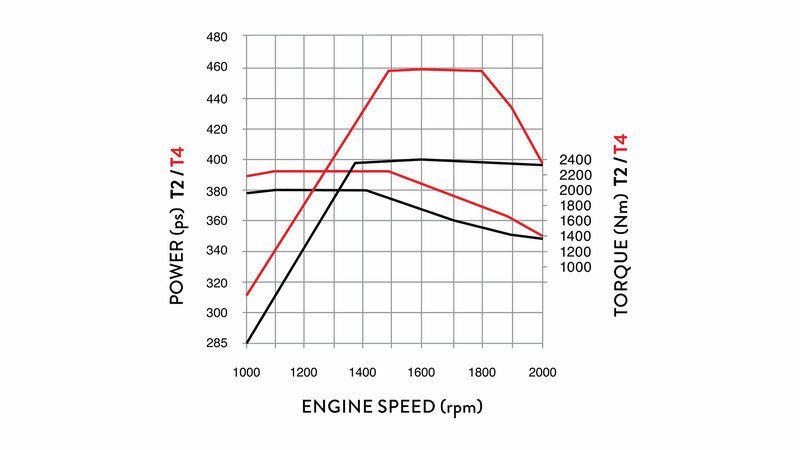 A look at the power curve illustrates how the engine maintains its maximum power across a broad RPM range. With its Detroit heritage, the OM470 has that legendary delivery of torque and the ability to hang in there when the going gets tough, offering excellent driveability across a wide rev range. Shogun’s ShiftPilot automated manual transmission delivers quicker, more efficient gear shifts for a smoother, more economical ride. Calibrated for New Zealand road conditions, the new mapping and faster shift speeds provide huge improvements over HD in terms of acceleration, response and gear selection. Standard and Power modes enable optimal performance in even the most challenging conditions, alongside the fuel-saving Eco Mode 3.0 (Eco Roll and Eco Cruise). ABA4 helps to avoid or mitigate collisions with pedestrians and other vehicles – at speeds up to 80km/h – by using a radar to monitor the road ahead. The radar triggers visual and audio warnings followed by partial or full emergency braking. ESC employs a steering sensor and yaw rate sensor to detect loss of control or the onset of rollover. This information is relayed to the ESC controller, which applies appropriate brake force to individual wheels to aid steering control and improve stability. LDWS operates at speeds over 60km/h to reduce the risk of lane departure accidents caused by distraction or fatigue. A camera behind the windscreen detects lane markings and triggers visual and audio alerts if the vehicle crosses without the indicator deployed or an intended steering wheel movement. Automatically adapts the truck’s speed through accelerator and brake control to maintain safe proximity to the vehicle in front. A stop-and-go function, brings the truck to a complete stop if the vehicle in front stops and slowly pulls away as the vehicle in front moves ahead. 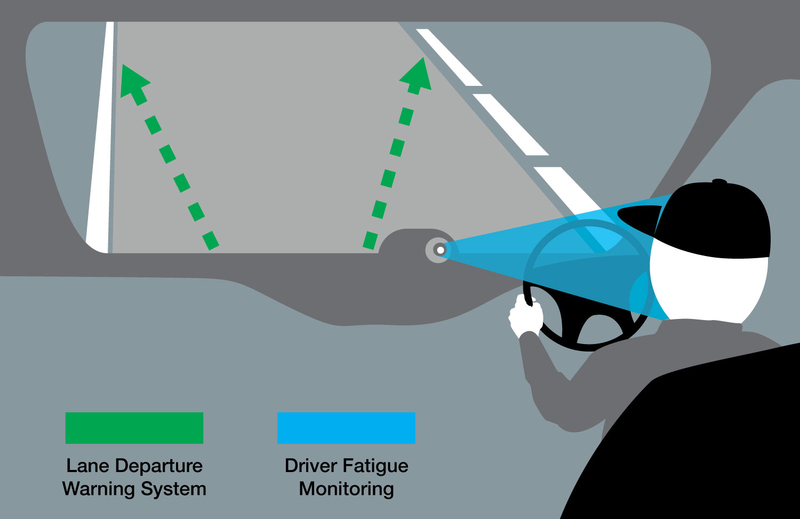 This system employs a range of inputs from monitoring steering behaviour, the truck’s path between lane markings and the driver’s head position and eye movement to register signs of driver fatigue and issue an alert if these are detected. The system works with Apple CarPlay and Android Auto for hands-free talking and text-to-speech functionality. It also works with other handy apps such as Google Maps and Spotify. Shogun takes the sting out of longer shifts, thanks to an ergonomically designed 2.5m-wide cab with premium features. Featuring an optimised leather steering wheel with touch controls, a large multifunction centre display, ShiftPilot stalk control and cushioned, air-suspended seat, Shogun's 'Silent Cabin' is built for optimum comfort and control. 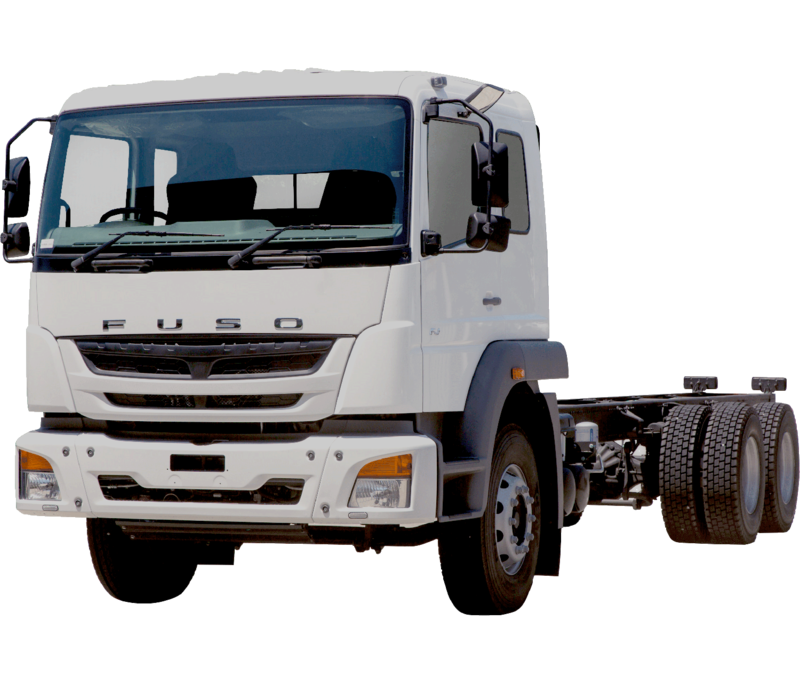 As part of the Daimler group – the largest truck manufacturer in the world – FUSO has access to the latest safety systems, which feature across the new Shogun range. 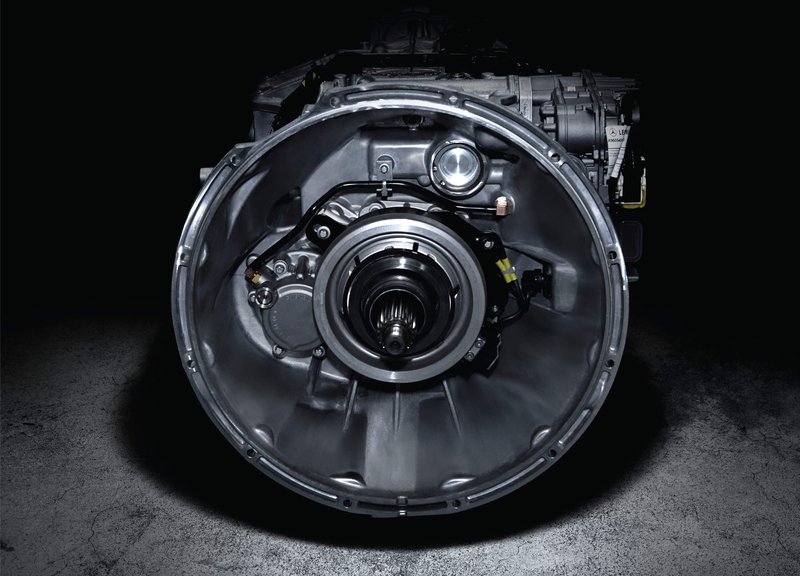 Shogun's new Euro 6 powertrain combines a highly efficient OM470 10.7L diesel and ShiftPilot transmission – customised for New Zealand road conditions – to deliver maximum performance and economy.